In a small coastal town north of the Arctic Circle, a true revolution of choral singing was led by a former car mechanic and a Swedish musician. The Northern lights flicker in the Arctic night. a city with a population of 50.000 that celebrates its 200th anniversary next year. The foundations of this coastal community were laid down in the golden age of herring fishing during the 19th century. Today, Bodø is a pulsating small town with its own university and a flourishing commerce. It was here, where the white-tailed eagle flies at low altitude over the city centre, where the RIB boats cut through the waves of the world’s fiercest maelstrom, where you can play golf at night under the rays of the midnight sun, that ChoralPractice was created. As often is the case, it all began with a Swede, Mikael Rönnberg – a conductor, singer and musician who arrived in Bodø in 1995, originally for a one-year stay as a pianist. “I stayed a bit longer”, Rönnberg says, laughing. “When conducting amateur choirs, the fact remains that the majority of singers can’t read sheet music”, Rönnberg says. Thus, it becomes the conductor’s duty to drag singers through the various works. 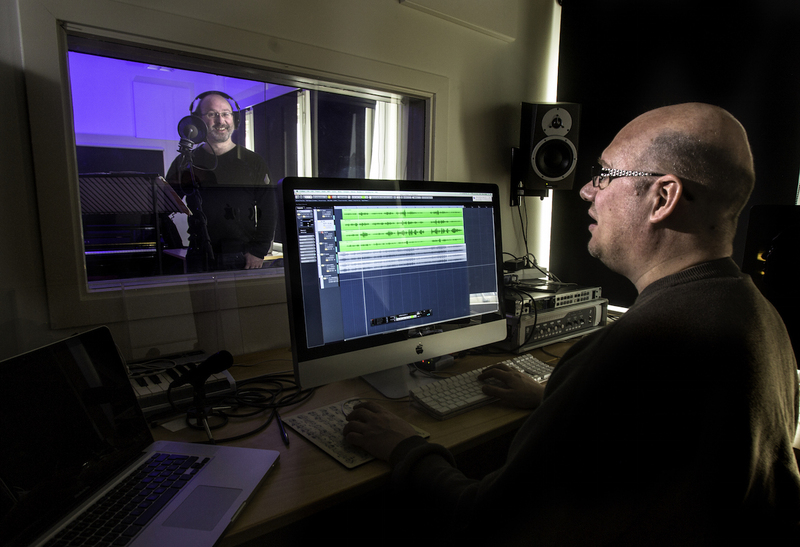 As the digital revolution spread to the recording studios, Rönnberg had an idea. It had to be possible to create a digital tool for choral singers. “It would prove to be much more complicated than I could ever have imagined”, he says today. In 2004, Rönnberg formed the “Alle kan synge” Choir (Everyone Can Sing Choir) , specifically targeting amateur singers, most of whom had never sung before. They certainly did not know the difference between a C and a D. The need for an interactive tool to aid the singers became every more pressing. “I had a solution delivered to me, but it never worked. It ended up at the back of my office drawer”, Rönnberg says as he shakes his head. Four years later – in 2008 – he was introduced to a man called Jan Ivar Nilsen. Nilsen remembers that call well. Afterwards, the magnitude of the task dawned on Nilsen. Jan Ivar Nilsen originally worked as a car mechanic, but health reasons forced him to choose a different path. As a devoted fan of Apple´s computers, Nilsen found his call to start creating music and develop software. The first baby steps of what today is known as ChoralPractice were made programming in Adobe Flash. “Everyone used it at the time”, Nilsen says. He himself did not know the first thing about choral singing, but he had experience from playing in marching bands and other musical outfits. Besides, he was in love with funk and the very proud owner of an Alembic bass guitar. From there sprang what was to become a happy and creative working relationship. “Today, there are probably few who know Handel’s “Messiah” better than Jan Ivar – at least no car mechanics! “, Rönnberg laughs. Together, Nilsen and Rönnberg have spent thousands of hours in search of the optimal solution. The road has been long and hard. “We set up a trial version in Flash, but then that program died”, explains Nilsen. So they contacted Bodø-based iOS developer Jørgen Skar, who took on the task of programming this first-of-its-kind app. “To move the tool onto a smartphone was huge. Suddenly you could practice anywhere, anytime”, Rönnberg says. ChoralPractice is also available for iPad – as well as for PCs and Macs through your regular web browser. The company, ChoralPractice, was founded two years ago and around five million NOK (approx. $ 650.000) have been invested in the project. “We’ve received incredible help from the likes of Innovation Norway (a government-funded financing organization, designed to help entrepreneurs) “, Rönnberg states. The key to success? Well, the devil is in the details. “From the word go we wanted everything to be recorded and sung by professionals”, explains Rönnberg. ChoralPractice is as easy as it is brilliant. 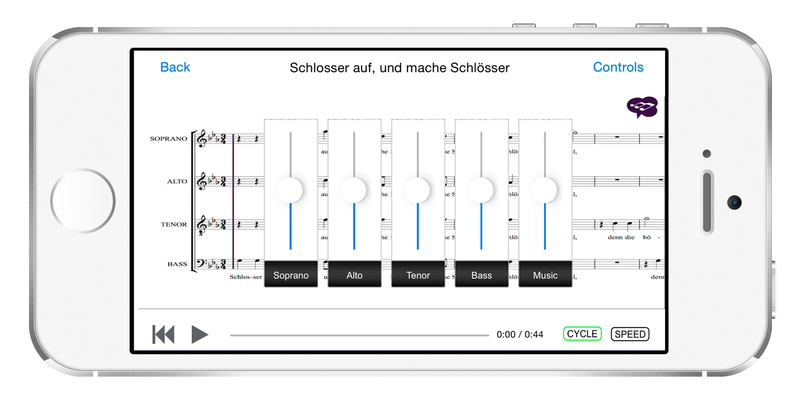 The app plays a multichannel recording in sync with a note sheet. The volume of the individual sound channels can be adjusted, and an animated marker on the note sheet helps keep track of the piece. There is also a loop function, perfect if you are rehearsing particularly difficult parts. A third trick is the app´s ability to play back the recording at a slower tempo to catch all the details. “This happens without the pitch changing, which is imperative”, Rönnberg says. “That part demanded a whole lot of advanced programming”, Nilsen adds. So far the app hasn’t generated any profits for the entrepreneurs. Money, they say, is far from the main objective. “In a way we’re on a mission. We want to help choral singers all over the world”, Rönnberg says. And there is no doubt that the potential market for ChoralPractice is huge. In Norway there are around 240.000 choral singers. In the EU, the number is 20 million people and in the US over 36 million people sing in a choir. “Our objective is to offer the existing free version of the app, and then add a separate Pro version”, says Rönnberg. ChoralPractice has made a list of the 25 most popular choral works throughout the world, every one of them pencilled in to be recorded for the app. 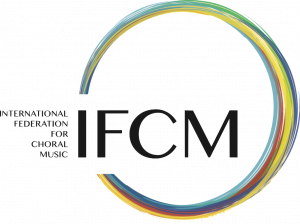 The objective is to offer as many as possible of these large choral works, sung in choirs across the globe – again and again. So far, five pieces are already in place. The developers are also working on including content from other genres. In both cases, the process is very time-consuming. Hurry gets you nowhere in this project, every tiny detail must be checked twice or even thrice, whether it be the text or the musical notes. “After publishing Handel’s “Messiah “, it was only a few hours before we received the first e-mail telling us there was an error “, Rönnberg explains. In the movement “And with His stripes we are healed “, a D suddenly appeared in a place where there should have been a D flat. The fact that someone discovered one single mistake that fast among the more than 20.000 musical notes our recording consists of, tells you all you need to know about our users ´ high demands in terms of quality. Where to from here? Nilsen and Rönnberg have set themselves some challenging objectives. ChoralPractice´s goal is to become the preferred provider of learning tracks/rehearsal aids around the globe. We want the quality of the recordings to be so good that they may be enjoyed as a “stand-alone” recording as well as for the learning purposes. The goal is to reach 100.000 users. The company will pursue strategic and financial partners. Even if the story of ChoralPractice is a story of stubbornness, drive and endless faith in the idea, the entrepreneurs admit that there have been rough patches. “Our advice to other entrepreneurs: Choose your partners with care”, Nilsen and Rönnberg insist. Seven years of hard work down the line, would the two of them have walked the same path once more, given the chance? Mikael Rönnberg, founder, CEO & Artistic Director of ChoralPractice Learning Tracks is a singer, choral conductor and musician born in Hoting in Northern Sweden. Since 1995 he has lived and worked in Bodø, Norway. He was educated as a pianist, organist and singer at the Universities of Trondheim, Tromsø and Bergen. He teaches music and singing at The University of Nordland and is the conductor of male choir Bodøoktetten and Alle kan synge-koret (the Everyone Can Sing Choir, a choir/singing course open for all), where he has had over 2500 participants. He is also choir master in Bodø for the Arctic Philharmonic and the founder of Bodø International Organ Festival, Piccadilly Operapub Festival and professional vocal ensemble VocalART. English translation by Markus André Jensen and Anders Alterskjær & Karina Gregersen. Thanks for sharing this! 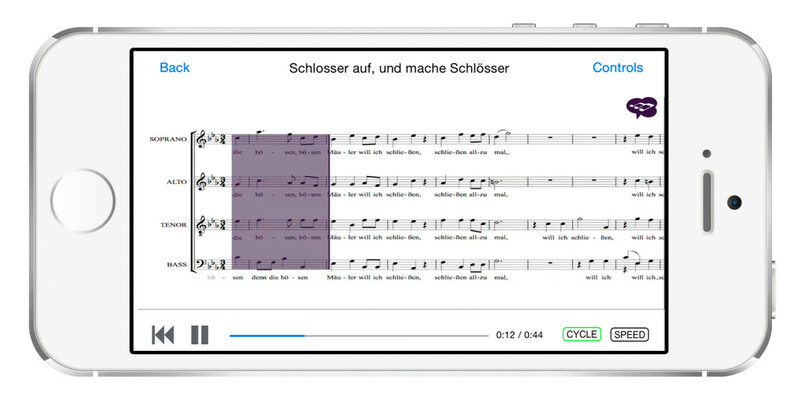 It is so awesome that there are rehearsal tools and innovations like this to help people sing and read music. It is always nice to have tools to help you when you are in a choir or band. Plus, it is true that there are a ton of people who would like to use technology like this for school or church choirs.